The LaserJet 8150DN series is a sturdy "workhorse" printer and very popular for higher-volume printing. It can print paper sizes up to 11"x17". 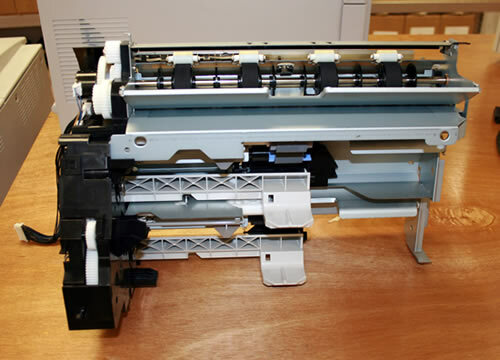 The 8150DN model includes a JetDirect card for connecting to a network, a duplexer for automatic double-sided printing, and two 500-sheet paper trays. This is a large printer; it ships on a pallet via freight truck. 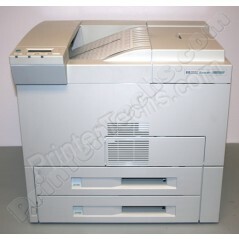 Our refurbished Laserjet 8150’s are truly rebuilt printers. Many companies simply clean them off, replace a few feed rollers, and call them refurbished. Not here. That’s not the way we do business. 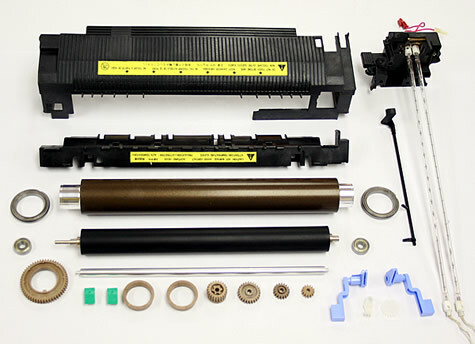 Over 8.5 hours of experienced technician time go into rebuilding one of these printers! There are companies selling these printers for a fraction of the price we sell them for, we know that, but you get what you pay for. 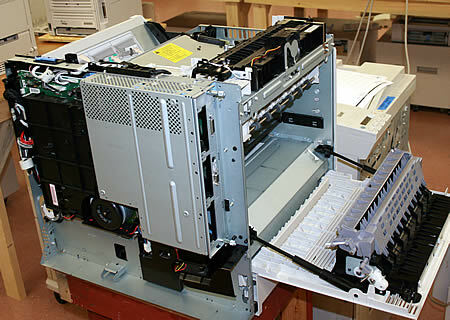 If you want a completely rebuilt HP Laserjet 8150, that's what we sell, not a dust off and a spit shine. In the long run you'll feel a lot more comfortable buying a quality printer than a mystery printer, especially if you plan on using it for 5-10 years or longer.